Presented by Penn State Health. 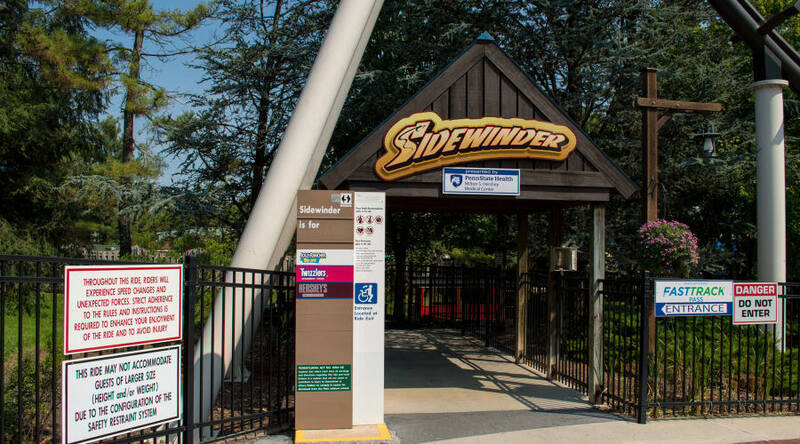 Sidewinder℠ coaster is so much fun that you get to ride it twice! 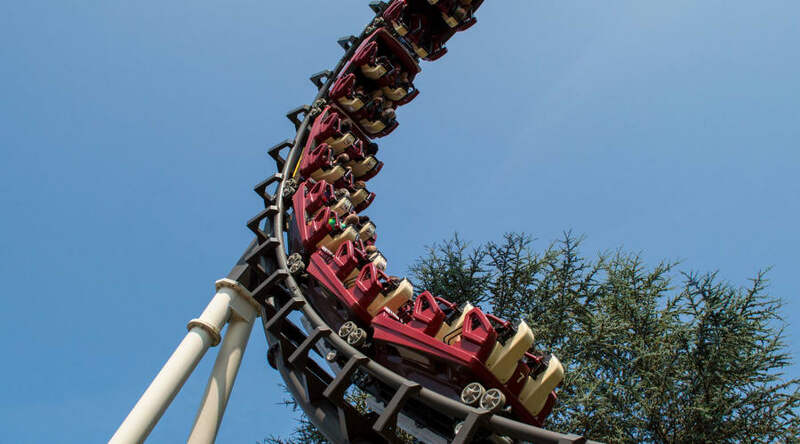 This steel roller coaster completes its spectacular flight, only to return to its starting point in an exciting "boomerang" style. Sidewinder is perfect for guests looking to spend more time upside down. 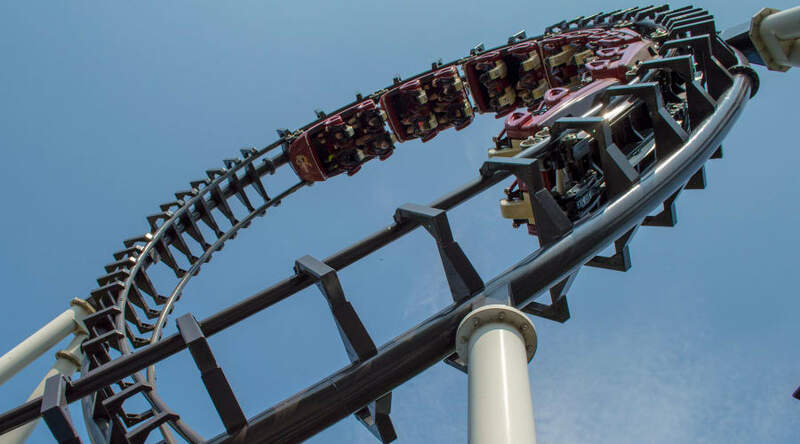 With a total of 3 loops each way, a single ride involves being turned upside down 6 times! Can't wait to ride our most popular attractions? Purchase a Fast Track inside Hersheypark at Hospitality Services upon arrival and skip the lines on select attractions. Quantities are limited and sold on a first-come-first-serve basis. This ride may not accommodate guests of a larger size (height and/or weight) due to the configuration of the safety restraint system. Guests taller than 6 feet 8 inches are not permitted to ride.